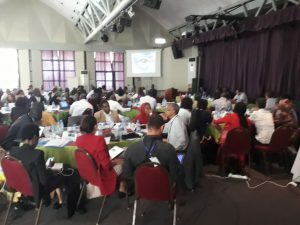 At the invitation of the Joint United Nations Regional Team on AIDS (JURTA), the African Society for Laboratory Medicine (ASLM) partnered with the World Health Organization (WHO), Clinton Health Access Initiative (CHAI), Elizabeth Glaser Pediatric AIDS Foundation (EGPAF) and Unitaid to conduct a laboratory capacity building workshop from 24-27 April 2018 in Saly, Senegal. Senior laboratory focal persons responsible for early infant diagnosis and viral load testing, program managers for HIV/AIDS care support and treatment, and prevention of mother-to-child transmission from a total 26 English- and French-speaking countries participated in the workshop, which sought to build the capacity of national teams, share experiences, learn from others and forge new partnerships to optimize coverage of virological testing for infants and monitoring of treatment failures in the Western and Central Africa region. Nqobile Ndlovu, Project Director; Anafi Mataka, Senior Scientist for the Unitaid-funded point-of-care project and Mr Charles Kiyaga, Program Manager for the Laboratory System Strengthening Community of Practice project attended the meeting on behalf of ASLM. Commendable progress has been made in achieving the UNAIDS 90-90-90 fast track targets in the Eastern and Southern Africa region. Unfortunately, countries with low HIV prevalence especially in the Western and Central Africa region are lagging behind and only 42% of the reported 6.1 million people living with HIV in the region know their status. Of these, 35% are on treatment, and of those accessing treatment only 25% are virally suppressed (UNAIDS, 2017). In 2016, to accelerate efforts to end the AIDS epidemic by achievement of the 90-90-90 fast-track targets, as well as with the Start Free, Stay Free, AIDS Free initiative, UNAIDS and partners launched a ‘catch-up plan’ to support countries in the Western and Central Africa region to triple uptake of antiretroviral therapy by 2020. A number of countries in this region have started implementing various elements of their catch-up plans. However, bottlenecks, especially with laboratory systems, are hindering the effective implementation of these plans. In line with the global targets to eliminate HIV/AIDS and to reduce incidence of HIV infection, morbidity and mortality related to HIV infection, the WHO recommends the use of point-of-care nucleic acid tests for early diagnosis of HIV in infants at least before 2 months of age. To scale-up early infant diagnosis and accelerate appropriate linkage and treatment initiation of infants, the WHO and partners have recommended the use of WHO prequalified point-of-care nucleic acid testing instruments, which allow virologic HIV testing of infants and return of results on the same day. 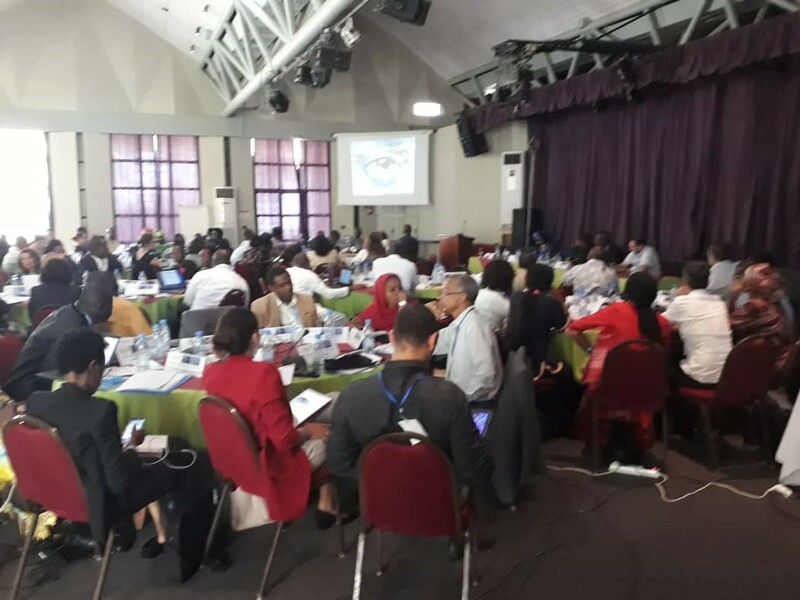 At the end of the workshop, countries made commitments to incorporate point-of-care nucleic acid testing for early infant diagnosis in their country plans. ASLM, as a pan‐African professional body, continues to advocate for the integration of point-of-care early infant diagnosis in laboratory testing networks, as a complementary tool to reaching the UNIADS 90-90-90 goals. It is coordinated efforts such as increasing access to point-of-care testing that will achieve the ultimate goal of eliminating HIV/AIDS.